Below is a list of Lake Lewisville fishing spots for people that are interested in bank fishing. 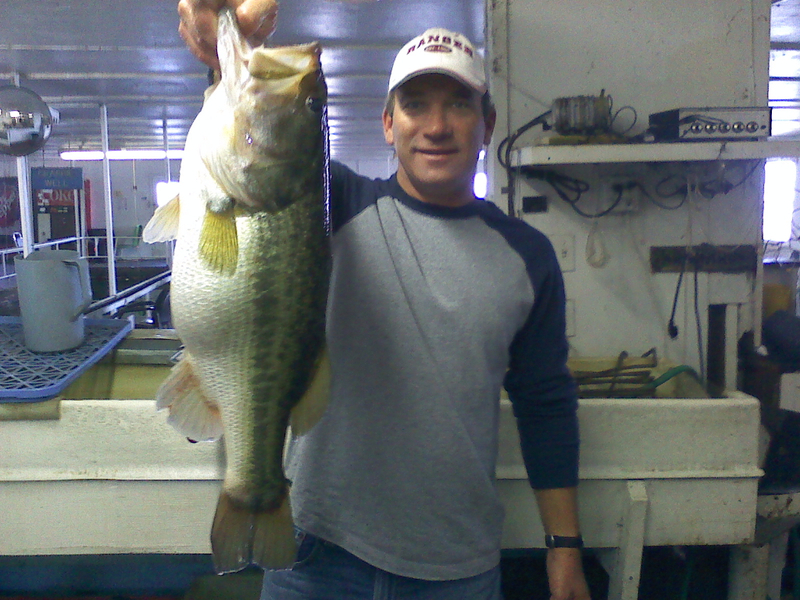 There are many good bank fishing spots on Lake Lewisville. If you get tired of Bank Fishing and you can always come on a guided trip with me. 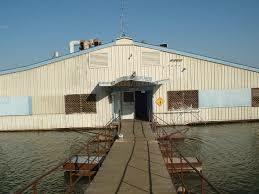 The Lake Lewisville Fishing Barge has been a fixture of the DFW metroplex since 1957. The Barge is well known for the variety of fish caught there. Every type of fish imaginable is pulled from the murky water beneath the floating barge. The walls of the fishing barge are covered with pictures of fish, caught there over the years. The crack is a horizontal opening between the main house and another attached floating barge has been producing crappie for years. Minnows on a drop sinker rig are lowered into the crack to tempt crappie coming off the spawn and seeking shade from the sun. The crack generally has a morning and an evening run during and after the spawn. Fishing the crack is not easily done by amateurs. Cables and structure below the crack make fishing difficult. Even though fishing conditions are tough; impressive Crappie can be caught there regularly. The Crack is the best crappie fishing spot at the barge. During the pre and post spawn are the best times of year to fish the Crack. When the fishing is good you can count on a morning bite and an afternoon bite. There are also a few secret trap doors in the Barge that can be fished for an additional charge. During the early summer when the wind is right, a balloon rig can be floated on the barge far out into the lake. A tug of the pole and balloon drops the bait to the bottom. People at the barge fish for Hybrid Stripers and Blue Catfish this way. The Lewisville fishing barge was founded in 1957. It sports air conditioning, drink and snack machines, and kitchen. The price to fish the barge has not changed in years. You can bring up to three polls, and minnows can be brought on site. Another Great Lake Lewisville fishing spot is “The Cut.” The Cut is the original breach of the Lake Dallas Dam. The Old Lake Dallas Dam divides the upper and lower halves of Lake Lewisville. Lake Dallas was built first then subsequently was expanded to create Lake Lewisville. The old Lake Dallas dam protrudes across Lake Lewisville. At The Cut, water flows from Lake Dallas into Lake Lewisville. The current that flows through the cut attracts fish to this spot. Hybrid Striped Bass, Sand Bass, Crappie, and Blue Catfish can all be caught at this location. To fish in the cut its self you hike on top of the old until it dead ends at the cut. There is parking at this location and it is easily accessible to bank fishers. The Cut is in Lake Wood Village you can exit off Eldorado on to Garza ln. Garza ln will dead end at parking. Garza ln is the first road Before, or after the Lewisville toll bridge. There is no address for this location. When the spillway is flowing is the best time to catch fish. When the fish are biting people crowd the spillway for the opportunity to catch a fish. All types of fish are caught at the spillway. The spillway is stocked with rainbow trout in the early spring. Crappie, Blue Catfish, Sand Bass, and Hybrid Bass can all be caught in the spillway. Spillway fishing, in general, is hit or miss. If the gates aren’t open you are not likely to catch anything. To much water flowing from the spillway is bad also. If you’re interested in fishing the lake Lewisville spillway it’s a good idea to pay attention to the gates. If the gates are closed, don’t bother. If you don’t feel like Paying the 10 dollars to fish and the 1 dollar per pole charge at the Lake Lewisville fishing Barge, you can try Lake Park. There is plenty of shorelines where you can fish for free. This fishing spot is good for Black Bass and Sand Bass. There is rocky shoreline and a Sandy Beach that can be fished from shore. If the Sand Bass and Hybrid are on a run there is a nice point at Stuart Creek Park that offers some good bank fishing. People come to the area when the Sand Bass run is on. This park is kind of hit or miss, either they are biting or they are not. When the conditions are good you can take home a nice stringer of Sand Bass. There is also a lot of shorelines to walk and cast for Black Bass. Stuart Creek Park is located in the Colony.